Today marks the Official Start of Oliver’s Terrific Twos and we’re going to make the most of it! First, some laundry, followed by errand running (Costco), then lunch and waiting for the over-sized UPS package. Gavin will be home tonight, but probably not until after O goes to bed. Oliver has since put on pants!!! 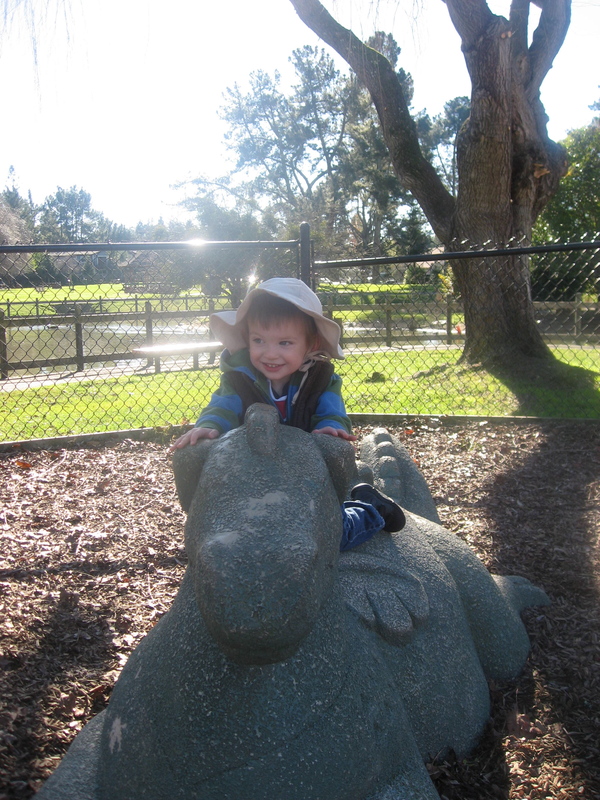 Here he is at the park, riding the Dragon!